During one of my visits to a Mediterranean restaurant, I had the opportunity to taste halloumi cheese. It was an ingredient in a wrap and I found it quite different from the other types of cheese that I had tasted before. When I read about it, I learned that it is widely used in grilling. Texture-wise, it is firmer than feta and also has an inherent salty taste. When cooked, it melts slowly and adds a creamy richness to gravy based dishes. 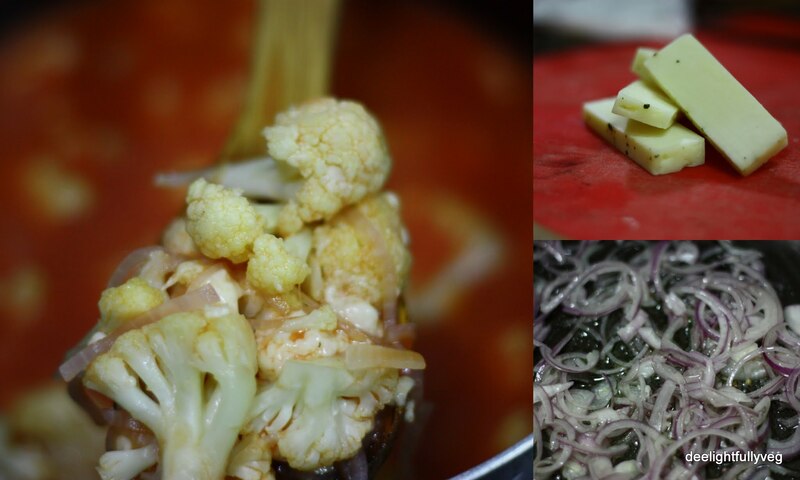 The advantage with cauliflower is that the florets end up absorbing the gravy perfectly and the whole dish has a vibrant taste. I chanced upon this recipe online and had bookmarked it to try cooking halloumi some day. I tweaked the recipe a bit and the dish turned out to be delicious. Soak the fennel seeds in a bowl of hot water for around 40 mins till the stock is fully infused with the seeds. Heat oil in a pan and sweat the onions with salt till they are translucent. Add the cauliflower to the pan and mix them well. Sauté them till they turn into a light golden colour. Once the cauliflower is slightly golden, add the halloumi. As the halloumi starts to colour and melt, add in the tomato purée. Mix them well such that all cauliflower florets are nicely coated in the gravy. Add the fennel stock without the seeds and let the gravy simmer on low heat for around 15 mins till the cauliflower is fully cooked. Serve it with nicely toasted bread. 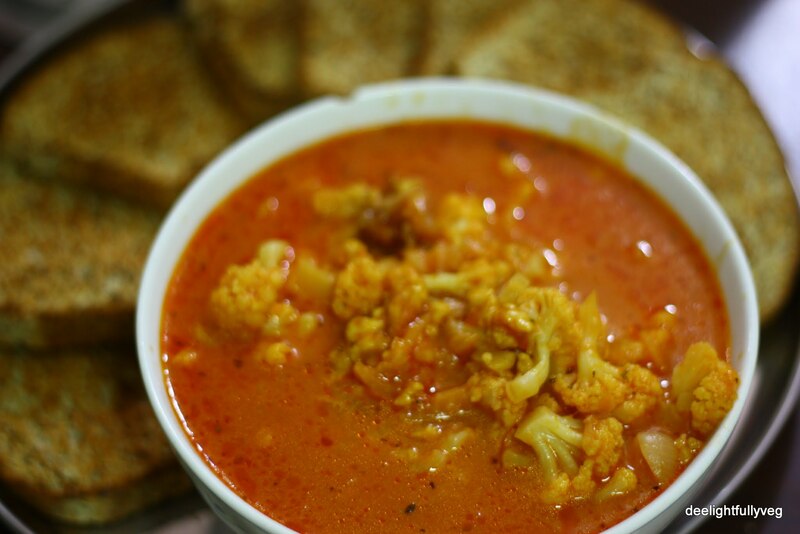 Do not overcook the cauliflower. Start with slightly larger florets. Personally, I like to cook the gravy low and slow till all the halloumi is melted into the sauce. You can choose to hold some of it back and add it in later if you want cheese chunks in the gravy.